Although these students have only been living in the United Kingdom for less than a year, they have been studying hard and their English is very good now. 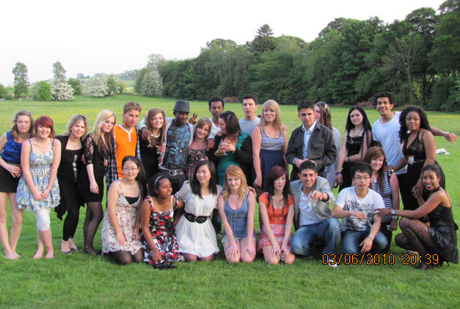 The College has been running a special programme to help the students integrate into this culture. Staff of the Allanton Sanctuary invited the local high school students to the gathering. They all took part in an activity called, ‘what peace means’ as individuals, in the community, in the world and in the environment. The students from both schools got along quite well. 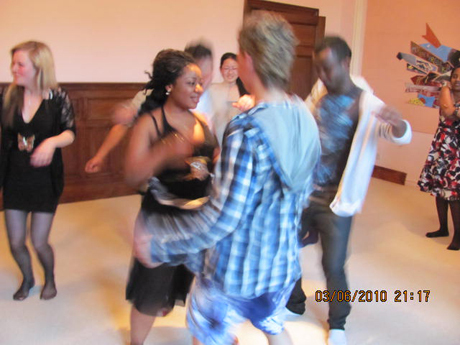 Together they enjoyed working, talking, dancing and having fun. Bonds were made, and ‘facebook’ and ‘twitter’ addresses exchanged. 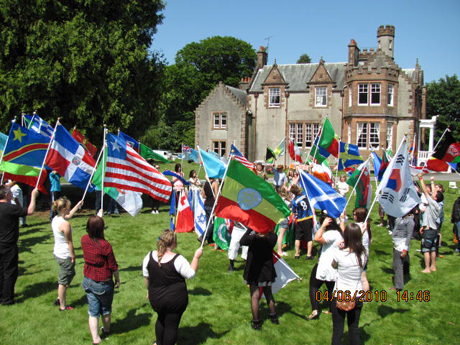 The visit culminated in a World Peace Flag Ceremony and the students from Anniesland College carried the flag of their own country and sent wish and prayer, May Peace Prevail On Earth to their homeland.